After undergoing final preparations, the spacecraft will leave NASA Goddard and travel to Florida this spring. 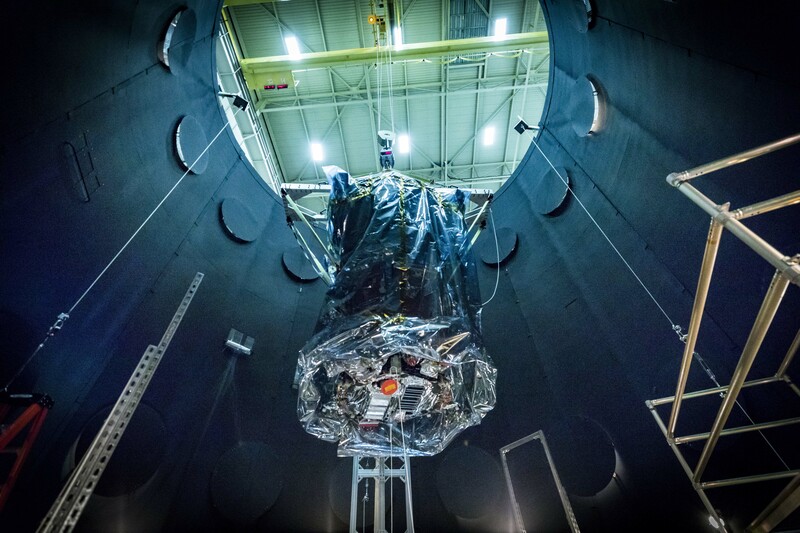 Once in Florida, Parker Solar Probe will go through its final integration and testing at Astrotech Space Operations in Titusville before launching from NASA’s Kennedy Space Center this summer. Parker Solar Probe’s launch window opens on July 31, 2018. 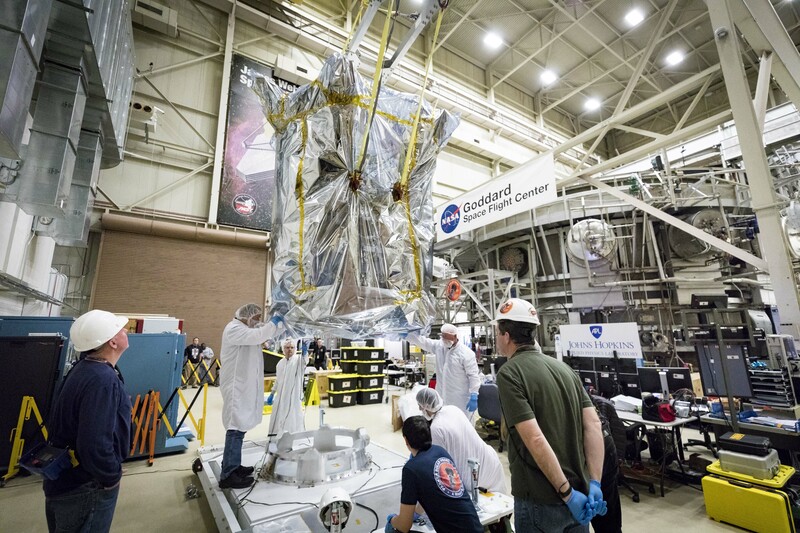 Members of the Parker Solar Probe team prepare the spacecraft to be lifted from the Space Environment Simulator at NASA’s Goddard Space Flight Center in Greenbelt, Maryland, on March 24, 2018. The spacecraft has spent eight weeks undergoing successful testing in the Space Environment Simulator to ensure that the mission will operate as planned during its seven-year long exploration of the Sun. 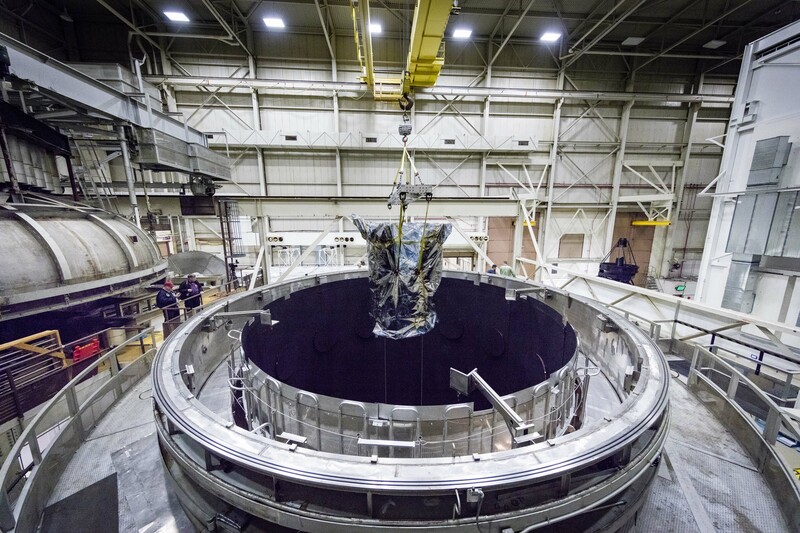 NASA’s Parker Solar Probe is carefully lifted from the Space Environment Simulator at NASA’s Goddard Space Flight Center in Greenbelt, Maryland, on March 24, 2018. The probe has spent eight weeks undergoing space environment testing, including hot and cold cycling tests that mimic the temperature changes the spacecraft will experience during its seven-year long exploration of the Sun. 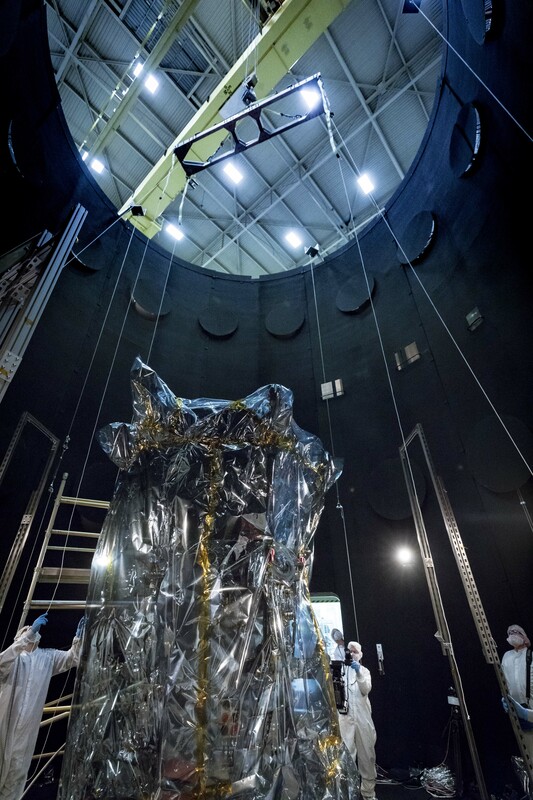 Parker Solar Probe is lifted out of the Space Environment Simulator at NASA’s Goddard Space Flight Center in Greenbelt, Maryland, on March 24, 2018. The spacecraft has spent eight weeks undergoing space environment testing in the thermal vacuum chamber. After about seven more days of testing outside the chamber, Parker Solar Probe will travel to Florida for a scheduled launch on July 31, 2018, from NASA’s Kennedy Space Center in Cape Canaveral. Members of the Parker Solar Probe team from the Johns Hopkins Applied Physics Lab in Laurel, Maryland, monitor the progress of the spacecraft as it is lifted from the Space Environment Simulator at NASA’s Goddard Space Flight Center in Greenbelt, Maryland, and lowered to the custom platform visible in the foreground. The spacecraft has spent eight weeks undergoing space environment testing in the thermal vacuum chamber before being lifted out on March 24, 2018. 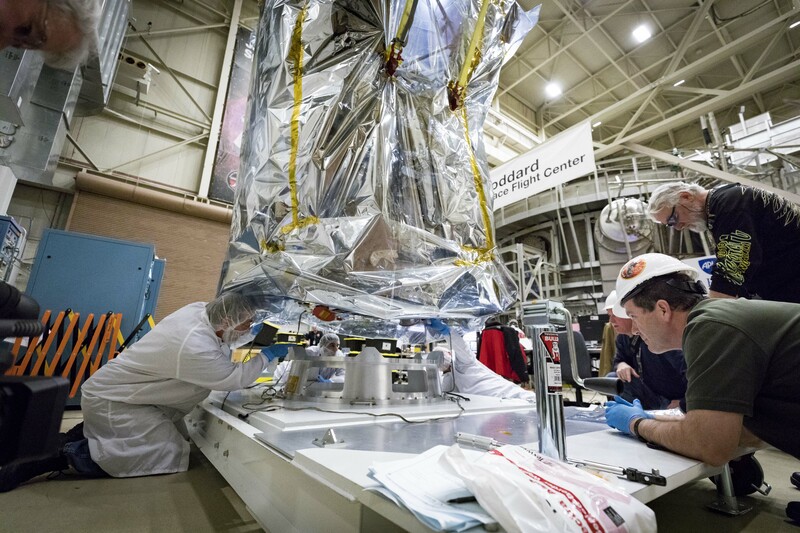 Members of the Parker Solar Probe team from the Johns Hopkins Applied Physics Lab and NASA’s Goddard Space Flight Center carefully lower the spacecraft onto a specially built platform on March 24, 2018. The probe has spent eight weeks undergoing space environment testing, including hot and cold cycling tests that mimic the temperature changes the spacecraft will experience during its seven-year long exploration of the Sun. Parker Solar Probe team members connect the spacecraft to a specially built platform after removing the probe from the Space Environment Simulator at NASA’s Goddard Space Flight Center in Greenbelt, Maryland, on March 24, 2018. The probe will undergo about seven more days of testing outside the chamber, then travel to Florida for a scheduled launch on July 31, 2018, from NASA’s Kennedy Space Center in Cape Canaveral. 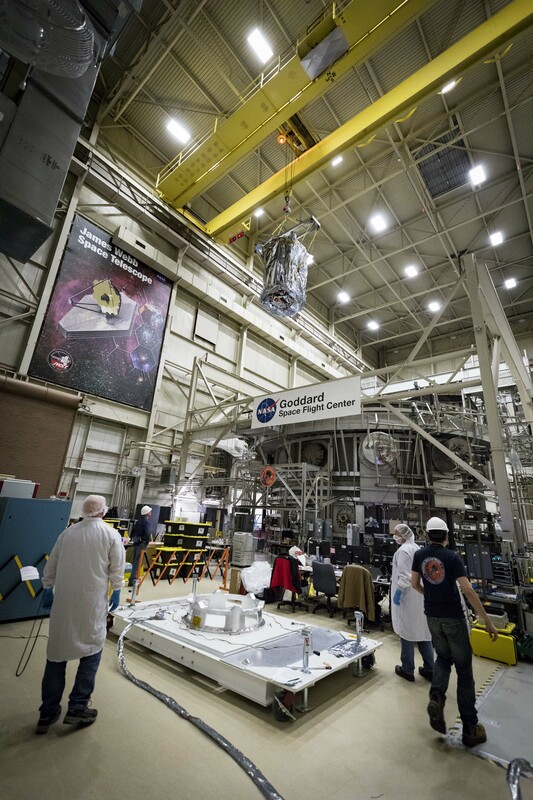 NASA’s Parker Solar Probe is wheeled into a clean room at NASA’s Goddard Space Flight Center in Greenbelt, Maryland, on March 24, 2018, after successfully completing space environment testing to verify the spacecraft is ready for operations in space. 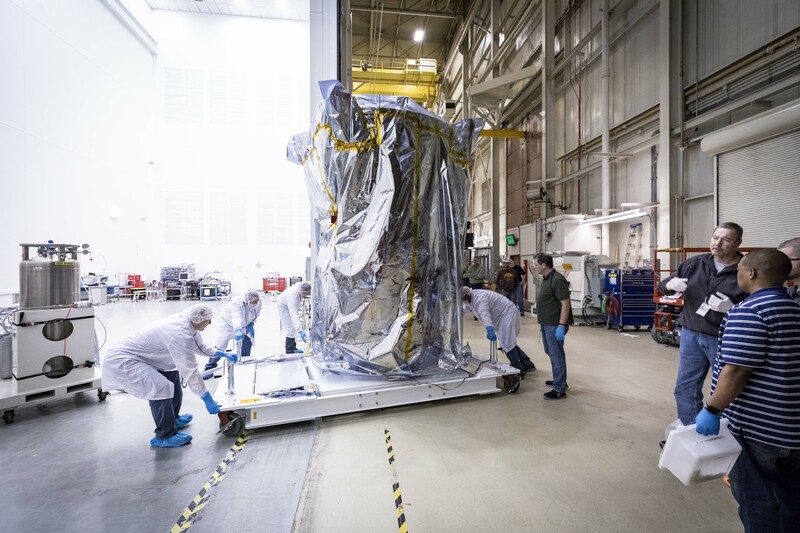 The probe will undergo about seven more days of testing outside the chamber, then travel to Florida for a scheduled launch on July 31, 2018, from NASA’s Kennedy Space Center in Cape Canaveral.